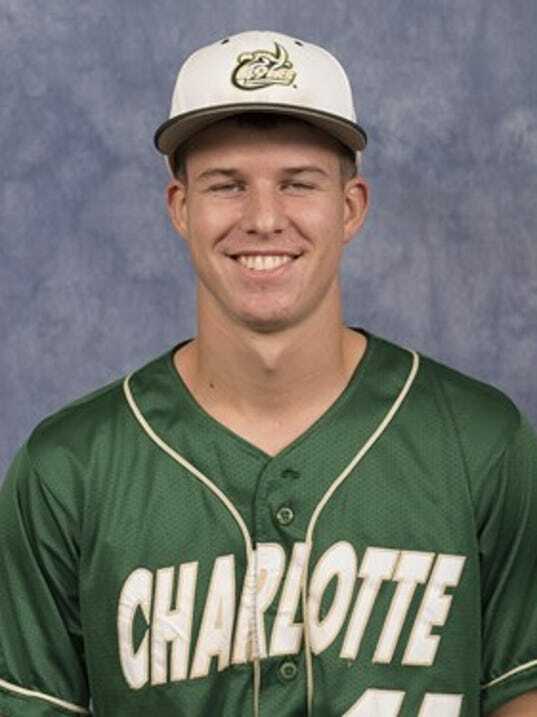 Spring Grove High School graduate Matt Brooks is enjoying a strong freshman baseball season on the mound for North Carolina Charlotte. Brooks is tied for the team lead in wins, boasting a 6-4 overall record with a 3.44 ERA, which is third-best on the team. In 55 innings he’s allowed 46 hits, with 11 walks and 50 strikeouts. He’s helped the NCAA Division I 49ers to an overall record of 32-22. North Carolina Charlotte is the No. 4 seed in the Conference USA Tournament. The 49ers begin tournament action Wednesday evening vs. No. 5 seed Louisiana Tech.